If one of your teeth becomes decayed or fractured but can still be preserved, you will need a dental crown to restore the tooth structure. A crown (or cap) is a covering that encases the entire tooth surface, restoring it to its original shape and size. 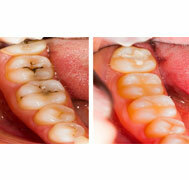 A crown protects and strengthens tooth structure that cannot be restored with fillings or other types of restorations. How Is the Procedure of Putting Crown Done? Appointment 2: On the second visit, our doctors will first get your approval of your crown on the model before proceeding to give you a test run in your mouth. Once you and your dentist have with 100% satisfaction accepted the entirety of the crown in your mouth, then we will proceed with the final cementation process. (If you are unhappy with any, we mean, any aspect of your crown, we will simply resolve it in our office or send it back to the lab for modifications before the cementation process). At this stage, the bite is checked and all necessary adjustments for the crown are made. The crown is then polished and cemented on your tooth with very strong dental cement. All cements are then cleaned up. If you would like to consult a dentist for best dental crowns and bridges in Dubai, just call us and meet us to take care of your dental care needs. 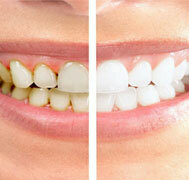 The best way of bringing out the beautiful, natural, healthy, permanently white smile is you. 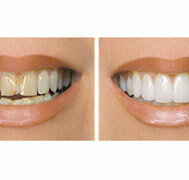 Custom designed Ultra-thin LUMNEERS can give you the beautiful smile you have always wanted. There are no shots, no drilling of the sensitive tooth structure, so there is no pain. They are even reversible. So you have nothing to lose. Just a beautiful smile to gain. With porcelain veneers, you can have the smile that lets you feel your most confident, attractive and self-assured. Bright Smile Dental and Orthodontic Center works with an industry leading master ceramist to craft porcelain veneers that are durable, beautiful and the best match for your overall appearance.